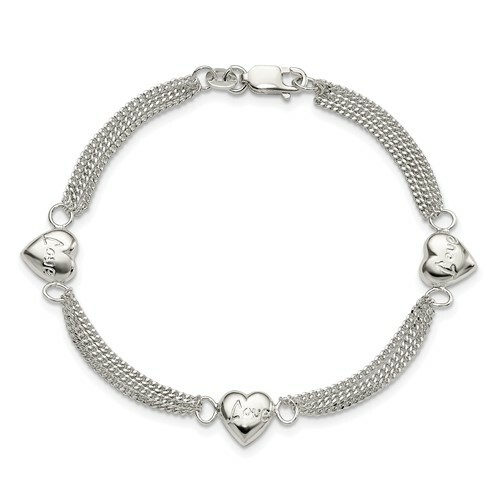 7 inch Sterling Silver Heart with Love Bracelet. Weight:4.3 grams. Lobster clasp.